One of the best benefits of living in New York City is you get to taste food from around the world. Indian food is one of my favorites. 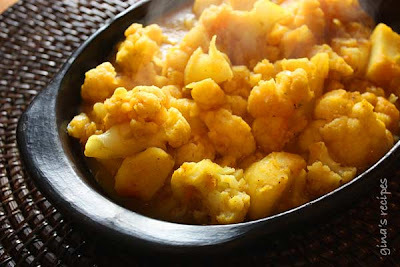 Aloo Gobi is a low point vegetarian stew typically served with basmati rice and roti. 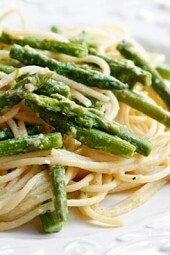 This can be a main dish or a side dish, as a side dish it would feed 6. It even got two thumbs up from hubbie who is not as experimental. In a pot of salted water, boil potatoes for 4 minutes. Add the cauliflower and cook an additional 5 minutes. Meanwhile in a large frying pan, heat butter on low flame and cook onions until translucent. Add potatoes, cauliflower and remaining spices and sauté for about 4 minutes. Add 1/2 cup of water and mix a few more minutes. I have gotten to love Indian spices and food. We thought this was great. And just a few ingredients too. I roasted veggies first and used also some cumin and mustard seeds that I toasted then pulverized. I have so many spices and seeds thought I would add them. Toasted some cashews for topping. Deciding what else to have with it if we want to stay vegetarian or some grilled shrimp perhaps? I made this yesterday to go with our WW Chicken Tikka Masala. It is so good! The only thing I did different is I roasted the cauliflower & potatoes in my air fryer instead of boiling them. I think it added an extra layer of flavor.. I am making this dish right now and the spice smells are wonderful. Wish I saw this comment before I made it. 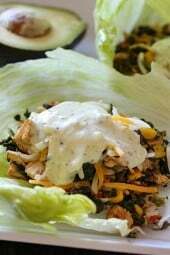 I made it as written and it was delicious but next time I’m adding cumin seeds. I made this to go alongside Madras Lentils from another site and the flavours worked perfectly together! Add some Aloo Paratha on the side and you have some happy eaters! Aloo gobi is one of my favorite at Indian restaurants, but it's been over a year now since I've had it! The restaurant version does use a lot of butter/oil. I finally made this version tonight and loved it! I added 12 oz. (uncooked weight) firm tofu (and garlic) and had it as a main dish for 7 PP per serving. Such a nice, filling dish. Thanks for another great one! how do you get to 5 points per person with only potatoes and a bit of butter counting points (excuse my english, not my mother tongue)??? When combining ingredients, Weight Watchers considers the total nutritional information. One person probably wouldn't binge on raw cauliflower, but it'd be much easier to overeat a tasty dish like this! Hope this helps. Tried this and LOVED them, thanks! ate this tonight and loved…the kiddos thought it a tad too spicy. more fore me! Nutritional info and points plus now updated! in addition to the serving size not included in the recipie, but what is the fat, calorie, carbs, etc. that's listed with the other recipies? Living in NYC does make you Indian food obsessed! I'll try to make more Indian Vegetarian dishes in the future. Oooh oooh ooooh! Very excited to try this, as my 3 years in NYC made me Indian obsessed as well! May I request more vegetarian Indian recipes, if you ever get around to it? 🙂 True to my Tweet word, I'm *loving* combing through your archives, such a great site! @Nora, I'm not sure how that would taste. I wouldn't personally use sweet potatoes for this, but who knows! Maybe it would be good. If you try it let me know. Can you make it without the potatoes and just double the cauliflower? Do you think it would work with sweet potatoes? I love Indian food! I made this tonight with some chana masala and it was absolutely heavenly. I'll be adding this to my favorite Indian recipes. Sounds GREAT – we LOVE Indian food! @Wallace, 3 medium potatoes. If you are using small potatoes, use 4. What size potatoes can I use? I have Easterns which are kind of small. OMG this looks AWESOME! So point friendly. I cannot wait to make this! Thanks! This dish looks incredibly yummy! I love spiced cauliflower and potatoes. So satisfying! I cannot almost distinguish the cauliflower from the potato. I must be hungry then hehe… Thanks for sharing the recipe. I’ll email this to my dad (who is a chef) and I’ll ask him to cook this for us as soon as he comes back. 😉 Yum! I was looking at your cauliflower recipe and it reminded me of one I had that was a salad. 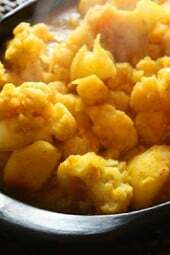 I liked the combination of indian spices and cauliflower so I now have to make yours. It sound delicious. I am going to have to try the spicy cauliflower. It looks lovely! I really like the new look for you blog. Very spiffy! Oh good. 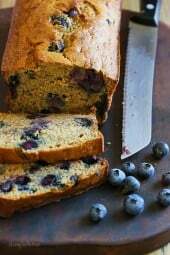 I had been looking for this type of recipe. I love cauliflower in Indian restaurants and want to give it a try at home. Hi there, I have bookmarked some of your recipe here and I cooked some. They are simple but healthy. The cauliflower looks delicious, I’ll give it a try. Btw, I have no idea about WW. I don;t know how they way they give points. I don’t know which is good, the lowest or the highest points. But I was thinking the lowest #. I used to go to a local restaurant for this wonderful dish, now I can make it too!!! This looks like a delicious way to eat cauliflower, which normally I am not that keen on. This looks awesome. As I vegetarian, I would love to try it…thanks.